Did you know that the mesophotic zone of a coral reef – the area 100 to 500 feet beneath the ocean surface – is called the “Twilight Zone”? That all reef fish found in that zone at Kure Atoll are found nowhere else in the world? That special equipment allows divers today to go deeper and stay underwater longer than ever before? 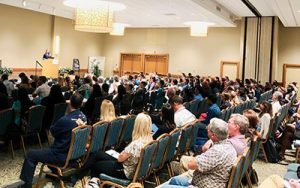 To discuss these and other topics, more than 200 researchers, managers and interested parties gathered in Honolulu on Nov. 19 and 20 for the Symposium on Science in Support of Archipelagic Management. The two-day event included presentations on terrestrial and marine ecosystems, natural and cultural resources, protected species research, conservation genetics, climate change, and new and innovative research techniques. 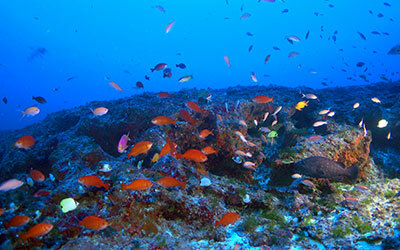 Forty-six speakers gave presentations on work carried out in Papahānaumokuākea Marine National Monument and other Pacific Ocean archipelagos. Speakers addressed work in the Hawaiian Archipelago, Samoan Archipelago, Galapagos Archipelago, Marianas Archipelago and the Pacific Remote Islands. 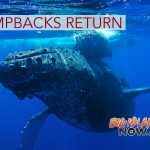 The symposium was convened and hosted by Papahānaumokuākea Marine National Monument co-managers, NOAA Pacific Islands Fisheries Science Center, NOAA Pacific Islands Regional Office and Hawai‘i Institute of Marine Biology. 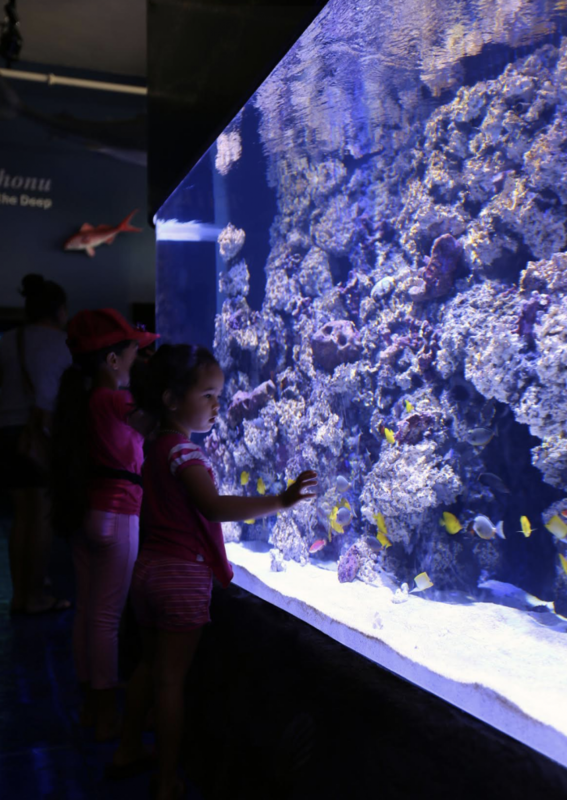 Papahānaumokuākea Marine National Monument is the largest contiguous, fully-protected conservation area under the U.S. flag, and one of the largest marine conservation areas in the world. Scientific, cultural, and maritime research are important to the overall operations of the monument. During the conference, keynote speaker Dr. Richard Pyle of Bishop Museum discussed the mesophotic zone, or “Twilight Zone” of a reef, between the typical depths of scuba diving (above 100 feet) and the deep exploration of robotics and submersibles (below 500 feet.) Dr. Pyle and other researchers shared the techniques they use to explore this area, including the use of rebreathers. Keynote speaker Dr. Michael Seki, director of NOAA’s Pacific Islands Fisheries Science Center, reviewed the history of research in the Northwestern Hawaiian Islands leading up to designation as a marine national monument in 2006. 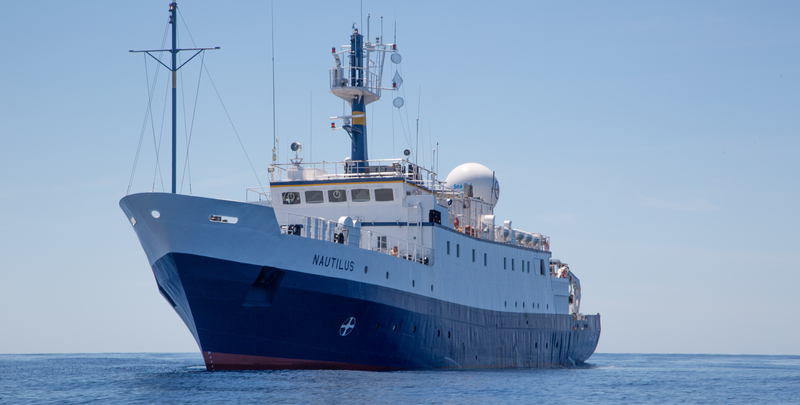 Researchers also reported on submarine and remotely operated vehicle (ROV) expeditions, such as those coordinated by NOAA’s Okeanos Explorer in 2016 and the E/V Nautilus exploration in 2018, which mapped numerous seamounts and identified 14 seamount habitats with lush deep coral communities. Surveys in the Samoa Archipelago resulted in documenting 110 coral species with six new records. 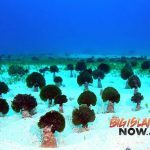 An analysis of 36 papers shows there have been approximately 374 total coral species documented from American Samoa. Numerous new records and new species have been recorded and more are being described annually, such as Pete Basabe’s Butterflyfish. Researchers discussed endemism in archipelagos, where a species is unique to a defined geographic location and found nowhere else. 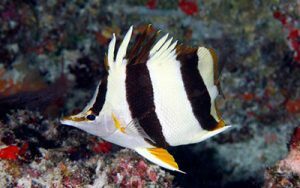 In the mesophotic depths around Kure Atoll, 100% of the fishes are Hawaiian endemics, meaning the entire fish community is composed of fishes that are not found anywhere else on Earth. This is the highest level of endemism known from any marine ecosystem. Scientists are working to save the Nihoa millerbird, Nihoa finch, and Laysan finch, all endemic to Papahānaumokuākea Marine National Monument. Preventing these species from going extinct will depend on regular monitoring (ideally annually), managing threats, successful translocations, and community support. 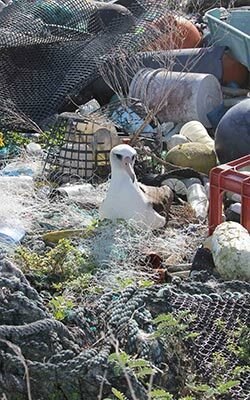 Since 2008, scientists have studied plastic ingestion incidence and loads in seabirds from the main and the Northwestern Hawaiian Islands. Plastic ingestion studies, along with tracking, dietary and chemical analyses, help with investigating seabird foraging behavior during changing ocean conditions. They also teach us about the flow of pollutants in North Pacific marine ecosystems.